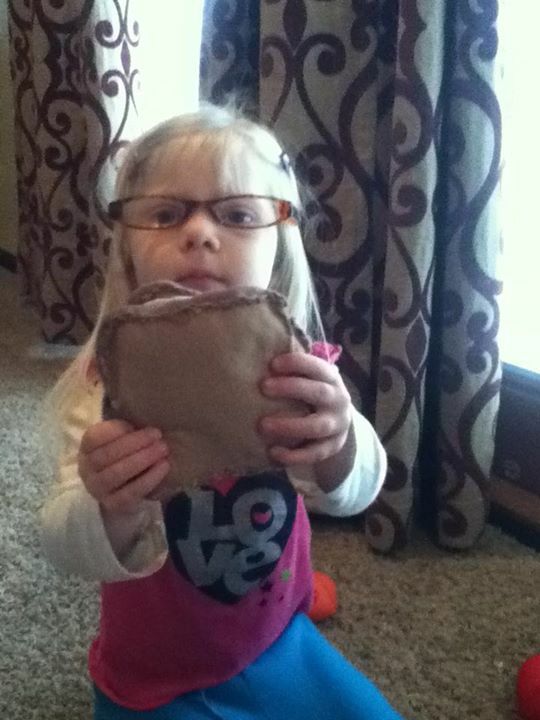 While we were in Nebraska a few weeks ago, Toria happened upon a stash of felt that Tiffany wasn’t using. 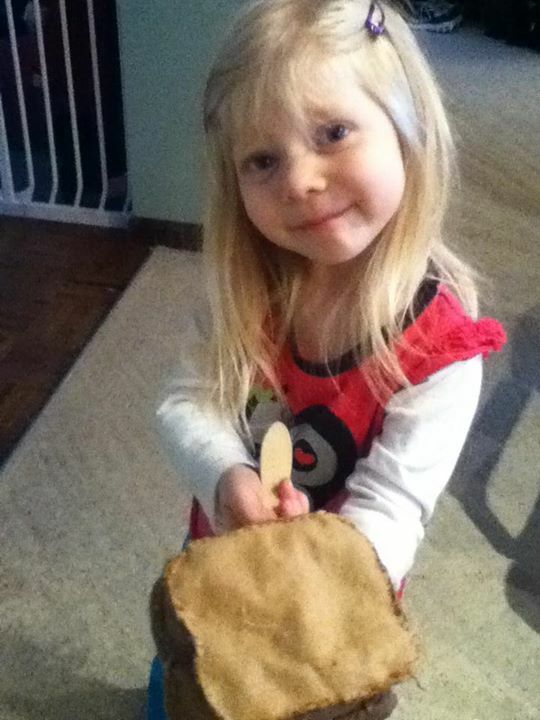 With Tiffany’s blessing, she used some to make a little felt waffle for Fiona, dents and all. 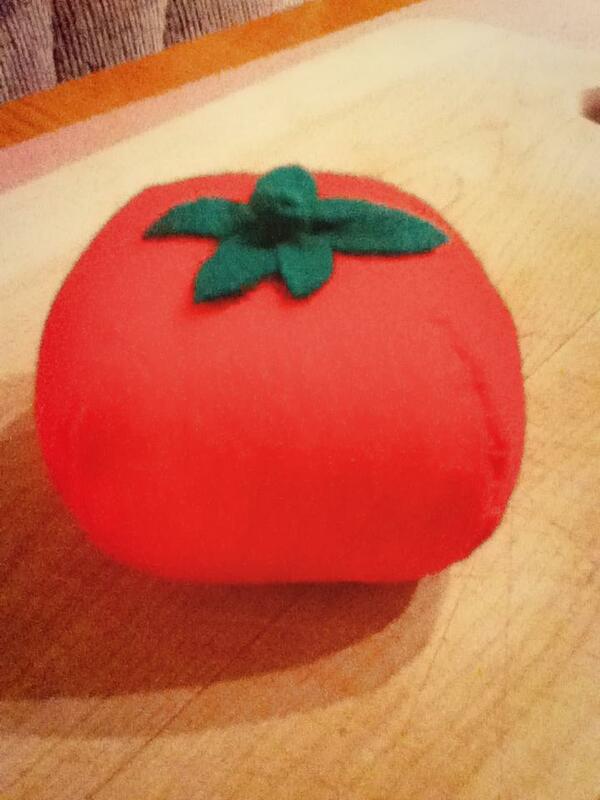 And then a little felt strawberry, and then a felt orange wedge, and then a felt strawberry (complete with little embroidered seeds!) and then felt salad ingredients and felt pizza ingredients and on and on. Fiona ended up with an entire set of darling felt food, and Toria made a set for Tiffany’s two year-old daughter, Millie, too. She made so much that we had to run out and buy her more felt. 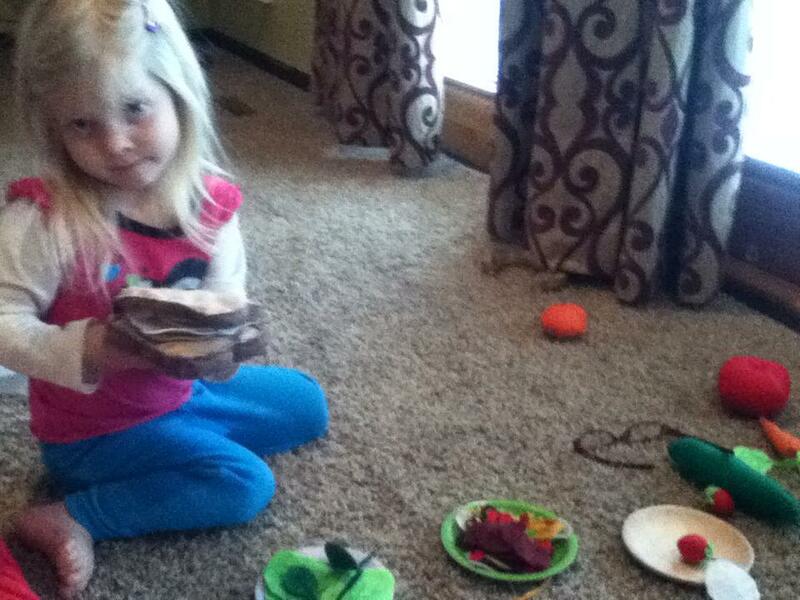 It was a darling project and both girls loved their new play foods. I’ll have her share some tips when she’s back from Oregon, and I’ll post better pictures then. Fun stuff! This entry was posted in crafts, Fiona, Fun, Home ec, Preschool, Toddlers, Victoria by Alicia. Bookmark the permalink. Yay, you’re back! Always so glad to see you’ve posted!